St. John’s has lots planned for Memorial and Canada Day celebrations on Sunday. Events and activities range from ceremonies to concerts. This year marks the 102nd anniversary of the Battle of Beaumont-Hamel and a Memorial Day service to commemorate the battle, and soldiers from Newfoundland and Labrador who fought will take place at the Newfoundland National Memorial on Water Street at 10:45 a.m. and will begin the arrival of the lieutenant-governor and vice-regal party. The Signal Hill Tattoo will be giving a historical animation performance to demonstrate the legacy of the 19th century British military strength in St. John’s and the importance of the area’s military history. The performances will take place at Signal Hill National Historic Site. More information can be found at www.signalhilltattoo.org. 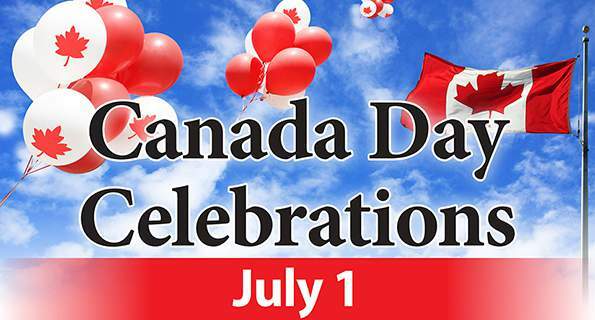 Events celebrating Canada Day will be taking place across the city, with races and a bouncy castle at Bowring park, concerts and carnival games at King George V park, and the final day of the Canada’s Big Birthday Bash on George Street. The first events of the day begin at 6 a.m., when free shuttle buses will be waiting at the Visitor Centre at Signal Hill National Historic Site to transport people to Cabot tower to watch the sunrise and listen to the playing of ‘O Canada’ before being transported back to the Visitor Centre for cupcakes, at the first Canada Day celebration of 2018. Fireworks will be at 10 p.m. If weather is unfavourable they will be happening at the same time on July 2. • Sunrise and “O Canada” at Signal Hill National Historic Site at 6 a.m.
• 5K&10K and kids run at Bowering park at 10 a.m.
• Memorial Day commemoration ceremony at 10:45 a.m.
• Signal Hill Tattoo performances at Signal Hill National Historic Site at 11 a.m. and 3 p.m.
• Family events, carnival games, concert including Rum Ragged and Carolina East at King George V park at 2 p.m.
• Rock The Block, battle of the bands, and family activities on George Street at 2 p.m.
• National Boychoir performances at Holy Heart Theatre at 4:30 p.m.
• Greely’s Reel at the Quidi Vidi Bandstand at 8 p.m.
• Fireworks at Quidi Vidi Lake at 10 p.m.
• After party on George Street at 11 p.m.